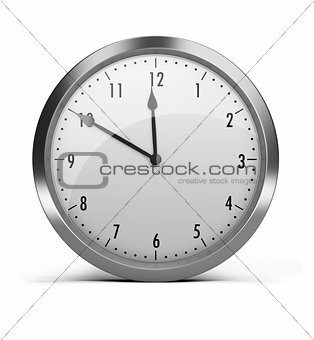 Image Description: clock with a silver rim. 3d image. Isolated white background. S 6.2 x 6.8 cm 2.5 x 2.7"
L 16.7 x 18.1 cm 6.6 x 7.1"
XXL 28.9 x 31.3 cm 11.4 x 12.3"
XXXL 37.3 x 40.4 cm 14.7 x 15.9"